• Map Generator Wizard: It is a browser based application that allow you to create map images of zoom points. • Ultimate Earth Zoom Toolkit: This is the main template. It combines all map images and gives you to zoom any location on the earth. It has an intro (satellite scene) and an outro (logo reveal scene). Also hi-tech library included. • Hi-Tech Library: It’s a standalone hi-tech library. You can import the library to your another projects.There are over 100 hi-tech elements ready to use. All elements synced with sound FXs. • Titles: Show your texts with amazing space background. There are 10 editable text holders. • Training Videos: 35 minutes video tutorials. 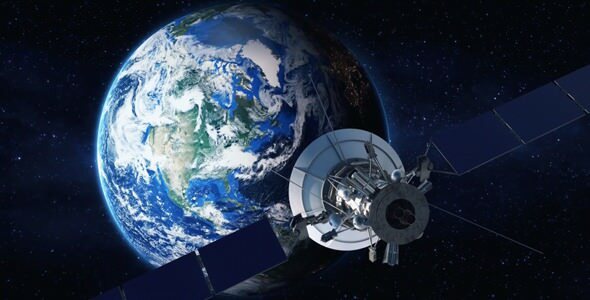 • 3D satellite is pre-rendered. You should know that you can’t edit the satellite but you can edit all elements on the display on the satellite. If you want you can use a footage on the display as intro.